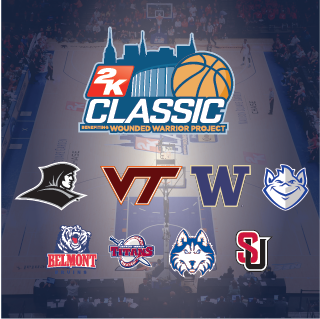 The matchups and schedule were just announced for the 2K Classic benefiting the Wounded Warrior Project tournament for this upcoming men’s basketball season. 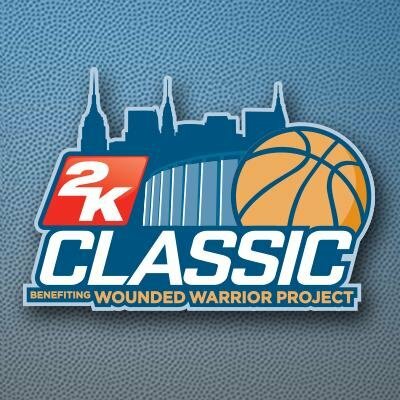 The games will take place at Madison Square Garden on Thursday November 16th and Friday November 17th. The 4 teams participating in this year’s tournament are Washington, Virginia Tech, Providence, and St. Louis. Here’s how the tournament bracket shakes out. The Friars will take on the Washington Huskies on Thursday and then the winner will face the winner of the Virginia Tech vs. St. Louis game on Friday. For some reason, the time for only the first game is listed with the schedule. Assuming the same thing as most tournaments, the second game is usually 2 hours after the first game…at least on the schedule. In reality, the second game should be 2 1/2 hours after the first game, because the games are never exactly 2 hours, plus you need 20 minutes in between the games for the next two teams to warm up. So, that being said, the PC/Washington game will most likely start at 9:30 PM on Thursday, November 16th. The game will be televised on ESPN2. PC just loooooves having any sort of tournament game start wicked late. It’s kind of their thing I guess. Washington is not the team that we thought they’d be this year with the firing of head coach Lorenzo Romar and an impressive incoming Freshmen class led by #1 overall prospect phenom Michael Porter, Jr. With the letting go of Romar, Porter soon followed him on his way to Mizzou. Washington is coming off a pretty terrible season in which they won only 9 games, despite having the number 1 overall pick, Markelle Fultz on the team. But hey, it’s still better than playing St. Louis most likely. At least the Huskies have some potential with new coach Mike Hopkins (asst. from ‘Cuse) at the helm and retaining some of the highly rated incoming class. 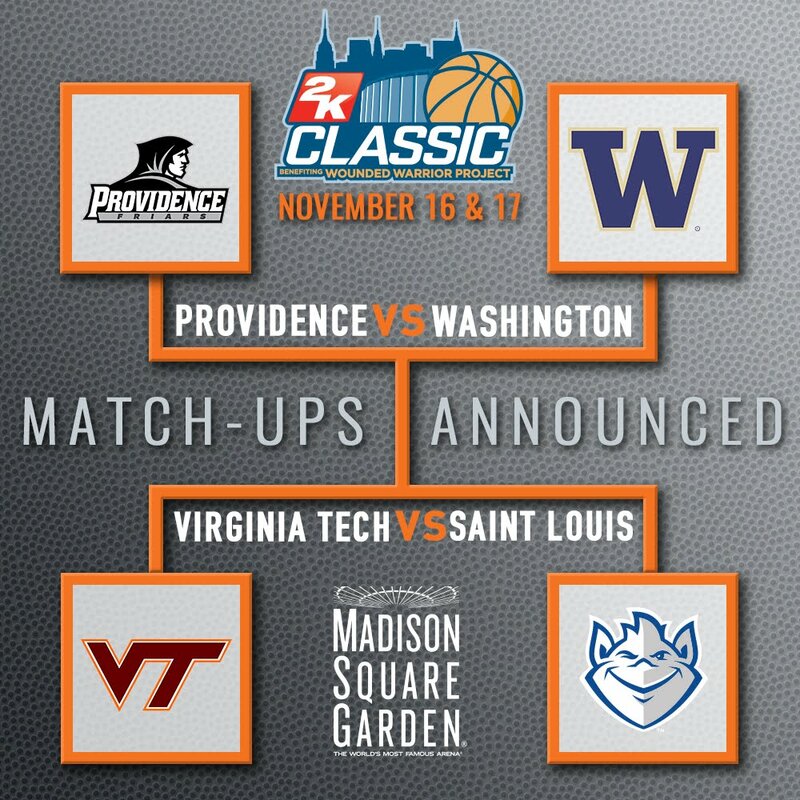 Virginia Tech should be ranked or close to ranked when they face off against the Friars at MSG in the 2K Classic. Buzz Williams has done a great job in a short period of time with the Hokies. I’m hoping the schedule works out so that we play Washington and VTech and miss out on St. Louis, because let’s be honest, St. Louis ain’t doing anything good basketball-wise. The one thing I was hoping for was that the games would be on a Friday and Saturday rather than Thursday and Friday but if they play Virginia Tech on that Friday, then that’s the one I’m gong to try and get up there for. MSG should be filled with PC fans since it’s both the only school in the Northeast and might be hard for fans of the other teams to get to during the week. Of course, the Championship Rounds are set with the 4 teams, but there are Regional Rounds that take place before these games that take place on those 4 teams home courts. Providence plays Houston Baptist on November 10th and Belmont on November 22nd. The Houston Baptist game will take place at Alumni Hall due to a scheduling conflict at the Dunk with Comic Con and the Belmont game will be back at the familiar confines of the dunk later on. Belmont would most likely be around a Top 75 win for the Friars if they were able to take down the Bruins. I’m pumped that the Friars pre-season tournament is in the Northeast so I have a chance to go to it but I wouldn’t mind if they went out to Maui so I could go back there for a vacation…that would be sweet.